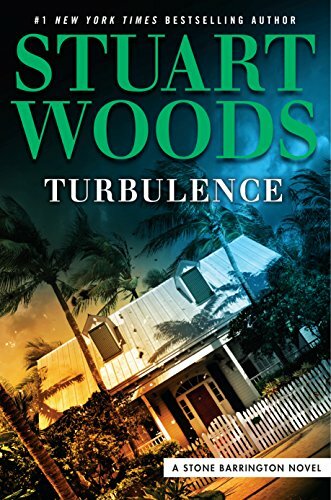 Stone Barrington and several friends are vacationing in Florida when an extreme weather event puts a damper on their trip. Even worse, the hurricane-force winds blow a powerful, noxious politician straight onto Stone’s doorstep. Though they part ways before long, Stone soon learns that he hasn’t seen the last of his new acquaintance. It turns out that this official has some shady associates who may have destructive plans afoot, and Stone needs an entrée to the inside to figure out their scheme. With the fate of nations at stake, Stone must summon all of his fearless daring to put an end to the audacious plot . . . but this time he may be in over his head. As the only daughter of a single mom, Connie Reyes swore she would never put herself in a similar position. But when she runs into oh–so-tempting Jonathan Pierce at a wedding, she knows she must stay away. She’ll fall for him—hard. And he’s not the type to stick around. So far the only loyalty he’s shown is to his rescued puppy. It’s about time! That diaper’s gotta go, baby! Pick the best book for toddlers about the journey to the potty. If you’re starting to potty train your toddler, get them excited about the coming process with some fun and colorful Potty Training and ABC Animals book for toddlers. Felicity the frog loves to jump. It’s hard to keep her calm. Potty time can be so frustrating for the little froggy’s mom. Greg, the giraffe, sits on his potty tucked amongst nice shady trees. His long neck reaches up to the branches, so he can chat to the bees. “Okay! I gotta tell you. I have a daughter — she is 2. She absolutely adores this book. One of the most stunning abilities ever seen…has just been born into the eyes of a six-year-old girl. For one very special reason. Something is about to happen. Something unstoppable, and something terrible. An event that could do more than just change human history…it could actually end it. But mankind has a secret. A little girl named Sarah. Afraid and alone, and under the care of an inexperienced social worker. A young woman about discover that she will do anything to keep Sarah alive. Because there is much more to Sarah than meets the eye. * Note to reader – similar to books by Dan Brown and James Rollins, this story contains a strong religious undertone. It&apos;s the Vegas weekend before my best friend&apos;s wedding – and all four Anderson brothers want me all to themselves. Naughty twister games at night. With them, I always enjoyed being in the middle. But, we never crossed the line. Because they were my best friend&apos;s brothers. And, I was the younger forbidden girl next door. We all reunite in Vegas. Maybe it&apos;s the way their eyes examine my body. And linger at my every curve. How can all four millionaires want me? Four wild men. One very lucky girl. Then, I wake up with a killer hangover – and a massive rock on my finger. It&apos;s way too much to handle so I get the h*ll out of town. They say what happens in Vegas stays in Vegas – but my baby bump is now here to stay. My story starts with a plunge into the cold water of Manhattan&apos;s harbor. A strong hand hauls me back onto the deck of the luxury yacht. Christopher protects me with fierce determination. My story begins with a fall but it doesn&apos;t end there. Because my fortune is about to change.